It’s the big day and you’ve just woken up in cold sweat realizing that you totally forgot Valentine’s Day? Let’s admit, in the midst of all the commercial frenzy of pink hearts, plush teddy bears and red roses that starts right after New Year’s it’s not that easy to stay oblivious, but hey, things happen. Maybe you were too busy working in the past couple of months, went out of town, were subconsciously trying to avoid a holiday that celebrates a saint’s massacre. Or, god forbid, got abducted by aliens who erased your memory of all the upcoming slobbery celebrations…Okay, it might be all of these excuses are pretty lame. But just because you messed up does not mean that you can’t save the day. The bad news is that according to numerous polls over 50% of women who don’t receive a Valentine’s Day gift don’t feel loved or appreciated and are likely to break up with their significant other. Why am I not surprised? Well, women can be very sentimental and things like that do matter to many of them, a lot. You don’t want to miss your wedding anniversary, her birthday and, apparently, Valentine’s day. Yes, it’s that important to her and you should keep that in mind for next year (or your next girlfriend). In most cases if you haven’t planned anything for Valentine’s at least a week in advance, you have royally screwed up. All the restaurants and romantic getaways are completely booked out. All the stores are out of the cards, chocolate and other Valentine’s staples. The pretty bouquets are gone too and all that remains are cheap heart-shaped chocolate, CVS plush toys, and wilted tea roses. Ok ok, I didn’t mean to scare you and there’s no time for panic, really. Before you put yourself into the dog house and start crying over the ruined relationships, here’s what you can still do to save the day even without a proper Valentine’s gift. If money is not a problem and you’re ok paying double go ahead and order a romantic bouquet online. 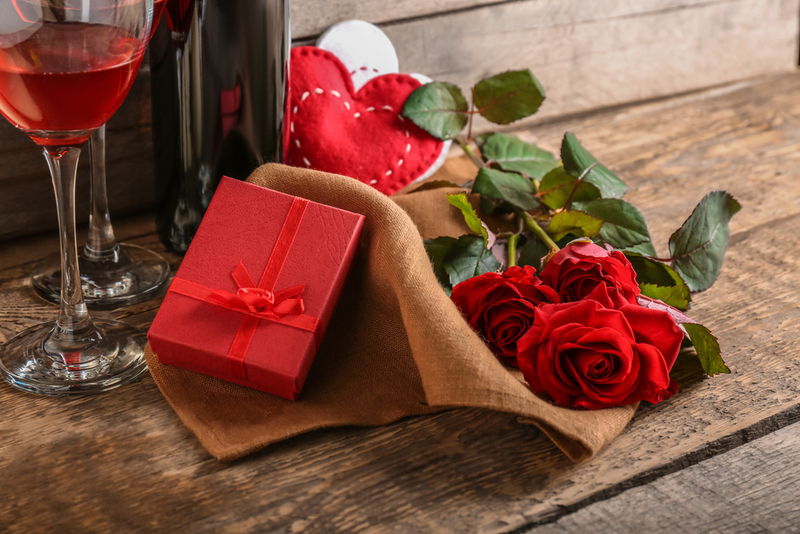 Many companies offer same-day flower delivery, but again on Valentine’s Day even they are often sold out or have cut out dates for same-day delivery. It doesn’t mean you can’t try though. Red roses will probably be not an option, but there are so many other beautiful romantic choices like tulips, lilies, orchids. If you subscribe to the adage that the way to any heart is through the stomach, couple your bouquet with chocolate in any of its endorphin-releasing forms. As a smart (and more budget friendly) alternative, you can order a bouquet for delivery in the next couple of days. A little white lie never killed anybody, and you can always blame the delay on the company. Many online gift delivery companies offer a wide range of romantic gifts along with flowers. They are especially great if you want to send gifts and flowers overseas in a few days, you can’t beat that. After flowers, move onto chocolate, another Valentine’s day staple. 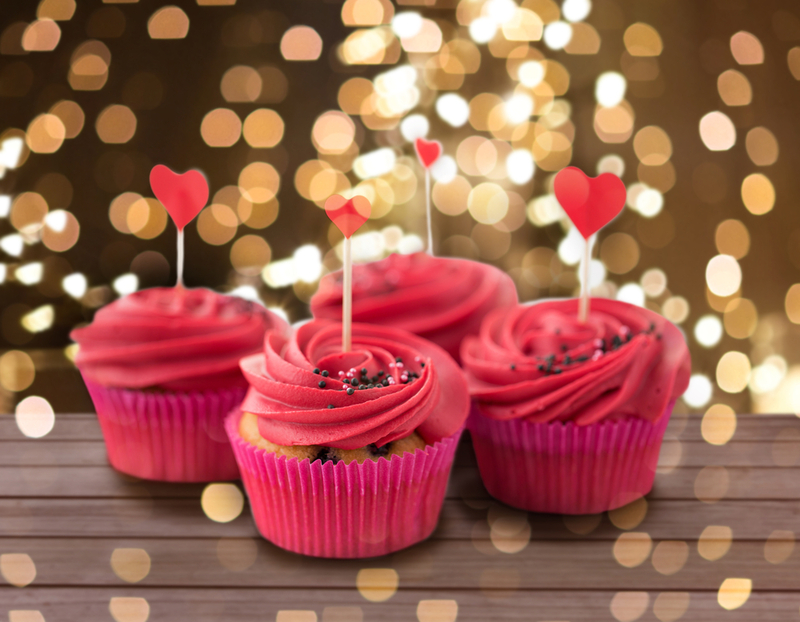 Chocolate has a magical effect on both males and females, and if your special someone eats enough of it, the ensuing chocolate coma might lead to Valentine’s Day amnesia. If you don’t want to get desperate and buy some cheap over-the-counter chocolate, we are 100% with you on that. Since it’s too late to start hunting for Godiva chocolate-covered strawberries, there’s always an option of making them at home. That’s right, and it’s actually quite easy. Another good thing, it’s way cheaper than Godiva and will include your loving touch. To start, go to the local supermarket and buy a box of fresh strawberries and a couple of bars of high quality dark chocolate. Luckily, these items should still be on the shelves during Valentine ’s Day. Start by lining a baking sheet with wax paper to prevent sticking. Melt the chocolate on the stovetop by bringing about an inch of water to a simmer in your saucepan. Set a heatproof glass bowl in the mouth of the pot, making sure the water doesn’t touch the bottom of the bowl. Keep stirring occasionally and when you have just a few small unmelted chunks left, remove bowl from heat. You can also skip this fancy part and simply melt the chocolate in the microwave in as many one-minute intervals as it takes, stirring after each until smooth. 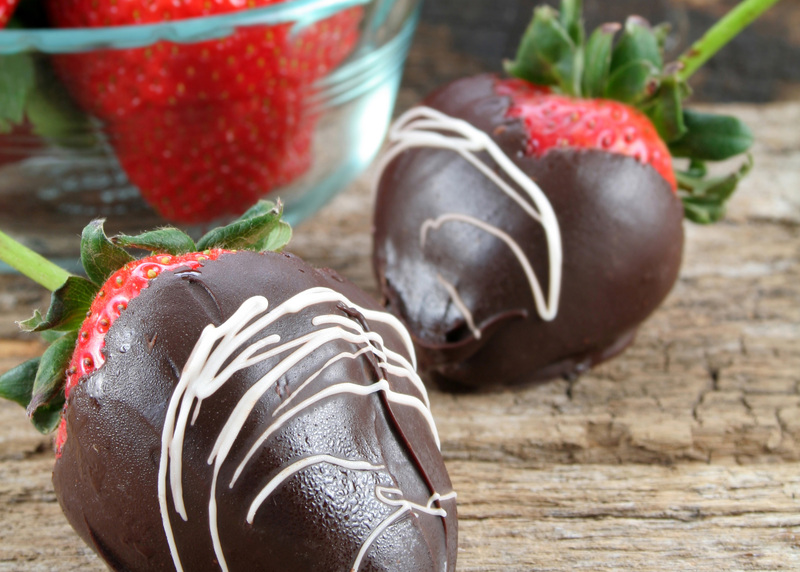 While the chocolate is still warm, dip washed and thoroughly dried strawberries into the melted chocolate. Let them sit for 30 minutes on the baking sheet until the chocolate hardens. Too late for romantic getaways? No problem. You can pamper your Valentine right at home! Spa gift baskets are great, but if there’s no time for getting one your best option is to organize a fancy bubble bath experience in your own bathroom. Remember that iconic scene in Pretty Woman when Julia Roberts is chilling in the frothy bubble bath? Recreate that relaxing luxury for your significant other with the nice smelling bath bombs, sea salt, bubble bath, body wash that you already have at home. Or explore the body wash aisle in the closest grocery store. Don’t be afraid to look cheap, your Valentine doesn’t need to know which products you’re using. I’d say you’re safe as long as it smells nice. Top it off with a face mask and a body scrub for a full pampering experience. As a finishing touch to this indulgence, dim the lights, place pretty candles all over the bathroom, scatter some rose petals, and play relaxing romantic music. To kill them with your romantic side, serve a glass of champagne and chocolate covered strawberries that you just made and they will be begging you to “forget” about Valentine’s Day like that every year. If you’re desperate and there’s absolutely no time for getting a decent Valentine’s gift or making any kind of surprise you have only one choice to save the relationship. I’m talking about proposing. We’re only recommending this for the truly dedicated. If you are at all unsure that they are the one then we actually recommend you take your lumps. However, if you are 100% committed and can’t imagine a day without her, then take the leap. If you ask her to marry you on Valentine’s Day, that’s all she’ll ever remember about the day. She’ll be too happy and excited to recall that you forgot to get her a gift. Or an engagement ring. You won’t need lame excuses, but you can always explain you wanted to pick out the ring together and ensure a perfect fit. Sure, proposing is a big step, and can’t be put on the scale with red roses and teddy bears but, hey, if this relationship is important to you it might be the time to take the next step and Valentine’s Day seems like the perfect opportunity. If you don’t have the guts to propose then there’s only one hope left for you. Pack your bag and run. Move away, far away. Consider changing your name, dying your hair and never think of going back. Check over your shoulder for the rest of your life because a woman forgotten on Valentine’s Day is never going to forget the man who did that to her. Ever. But all jokes aside, keep in mind that Valentine ’s Day is about love, not gifts. You may have forgotten about the day, but you haven’t forgotten about your significant other. Find your own way to demonstrate how much they mean to you! Remember: it’s the thought that counts! Ready to surprise your Valentine? – Browse our Valentine’s Day catalog to find a perfect last minute gift. 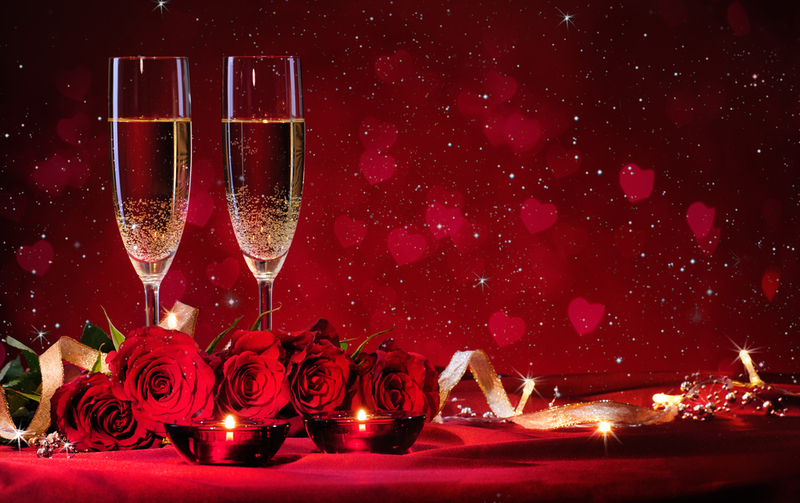 – Keep on reading to learn how to Set The Mood With Aphrodisiacs For Valentine’s Day. – Click your favorite button below to share this blog with a friend!